3-Myrtle Sarah Dobson was born on 14 Oct 1893 in Whitefoord Hills, Elizabeth Town and died on 19 Sep 1984 in Devon House, Latrobe at age 90. Myrtle married Charles Henry Hall, son of James Hall and Isabella Jane Elizabeth Kaine, on 17 Mar 1915 in Pine Road, near Penguin. Charles was born on 31 Dec 1887 in Ulverstone, Tasmania and died on 17 Apr 1958 in Devonport at age 70. Myrtle Dobson married Charles Hall, at Pine Road on 17th March, 1915. The first few years of their married life was spent at Pine Road and Charles worked at the butter factory at Riana, then later at Wynyard and Wilmot, before becoming manager of the Ulverstone Butter Factory. In 1929 they were living at Invermay, Launceston, at the time of the disastrous floods. Charles was on the North West Coast at the time, and Myrtle and her family of five had to vacate their home at midnight and take shelter at the school. However, the school was considered unsuitable. Everyone was then taken by boats to the Tamar Street bridge where they were off-loaded on to horse drawn wagons for the bridge crossing then once more into boats for the final trip to the Albert Hall. Their home was condemned for a few weeks and most of their possessions had to be abandoned. However everything was valuated and recompense was given. Later the family shifted back to the North West Coast to farm at Riana, but again disaster struck — their home was burnt down and the family had to make a fresh start. During the war Myrtle and Charles moved to Devonport with their two youngest sons, their daughter Thea having married Thomas Plapp. They remained there until Charles died on the 17th April 1958 and Myrtle on the 19th September, 1984 in her 91st year. After suffering two strokes she spent the last 10 years of her life at Tasman House, Devonport, where she gradually became blind. She was joined there, after a few years by elder sister Ada Maynard, and each became a great comfort to the other. A cousin, Ella Harvey, whom her sisters had not seen for many years, also joined them at Tasman House but was later transferred to Devon House, Latrobe, where she passed away. TX14988 Sapper Walter Charles Hall 2/2 Forestry Co., 6th Division 2nd A.I.F. served at Labu, Lae, Madang in New Guinea; Jacqinot Bay, Wide Bay and Rabaul in New Britain until the end of hostilities when he was discharged. 89053 L.A.C. Trevor Charles Hall, No. 1 Aufield Construction Coy Squadron R.A.A.F. He trained at Shepparton and Lara Junction as a plant operator. He served on Moratia Island then on to the landing at Tarakan, Borneo where air-strips were constructed. He remained there until the end of the war when he was discharged. L.A.C. John Charles Hall, No. 1 Party, Mobile Maintenance Coy, 20th Squadron R.A.A.F. trained in Townsville and served in Darwin, Thursday and Home Islands for some years before his discharge. He re-enlisted later in the army, TX9389 as a Private in the 55th Battalion. When the hostilities ceased he spent 18 months in the Occupation Forces in Japan. When Trevor and John returned from services they were engaged in plant operation in the building of Wynyard, Devonport, Western Junction and Hobart airfields. 4-Theadora Myrtle Sarah Hall was born on 2 Aug 1917 in Pine Road, near Penguin. Theadora married Thomas Leslie Plapp, son of George Lindsay Plapp and Ethel Vivian Hill. Thomas was born on 19 Apr 1916 in Penguin and died on 15 Apr 1994 in Burnie, Tasmania at age 77. They had three children: Raymond Thomas, Yvonne Elizabeth and Lynette Thea. 5-Raymond Thomas Plapp was born on 6 Nov 1941. Raymond married Shirley Joan Wescombe. Shirley was born on 8 Apr 1943. They had two children: Garry Thomas and Debbie Maree. 6-Garry Thomas Plapp was born on 10 Jul 1961. Garry married Robyn Ekins. Robyn was born on 18 Apr 1961. They had one son: Matthew Thomas Brett. 7-Matthew Thomas Brett Plapp was born on 15 Jan 1985. 6-Debbie Maree Plapp was born on 12 Feb 1963. Debbie married Peter Stott. Peter was born on 9 Jun 1960. They had two children: Anna Shirley and Jessica Maree. 7-Anna Shirley Stott was born on 30 Apr 1984. 7-Jessica Maree Stott was born on 23 Jan 1987. Raymond next married Lynette Whiteroad. Lynette was born on 21 Mar 1949. 5-Yvonne Elizabeth Plapp was born on 30 Jun 1943. 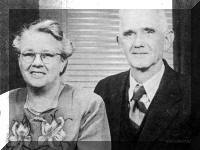 Yvonne married Darryl Owen Barker, son of Wilfrid Barker and Alma Jean Boatright. Darryl was born on 26 Feb 1937. They had three children: Paul Darryl, Michael Darryl and Andrew Darryl. 6-Paul Darryl Barker was born on 23 Aug 1965. 6-Michael Darryl Barker was born on 5 Jul 1968. 6-Andrew Darryl Barker was born on 14 Oct 1970. 5-Lynette Thea Plapp was born on 6 Sep 1953. Lynette married Marl Leicester Butler. Marl was born on 19 Feb 1951. They had three children: Jason Mark, Troy Christian and Marcus Lee. 6-Jason Mark Butler was born on 31 Mar 1971. 6-Troy Christian Butler was born on 2 Oct 1973. 6-Marcus Lee Butler was born on 12 Sep 1976. Lynette next married Mark Leicester Butler. Mark was born on 19 Feb 1951. They had three children: Jason Mark, Troy Christian and Marcus Lee. 4-Walter Charles Hall was born on 23 Oct 1920 in Pine Road, near Penguin. He served in the Second World War. Walter married Doreen Margaret Hooper. Doreen was born on 13 Dec 1924. They had six children: Robyn, John Charles, Annette Mary, Peter Charles, Jennifer Gaye and Jacqueline May. 5-Robyn Hall was born on 24 Feb 1944. Robyn married Barry John Bishop. Barry was born on 30 Jul 1942. They had two children: Kerry Leanne and Darren John. 6-Kerry Leanne Bishop was born on 20 Oct 1966. 6-Darren John Bishop was born on 14 Oct 1969. 5-John Charles Hall was born on 14 Jul 1945. 5-Annette Mary Hall was born on 30 Jul 1947. Annette married Stephen Frederick Milhench. Stephen was born on 15 Nov 1943. They had four children: Cindy Maree, Brett Alan, Anthony Luke and Rachel Jane. 6-Cindy Maree Milhench was born on 6 Mar 1966. Cindy married Stephen William Erwin. Stephen was born on 22 Oct 1962. They had one son: Mark Garry. 7-Mark Garry Erwin was born on 4 Feb 1986. 6-Brett Alan Milhench was born on 27 Apr 1969. 6-Anthony Luke Milhench was born on 4 Nov 1970. 6-Rachel Jane Milhench was born on 9 Nov 1979. 5-Peter Charles Hall was born on 14 May 1952. Peter married Jennifer Susan Harris. Jennifer was born on 10 Jul 1955. They had four children: John Charles, David Charles, Edward Charles and Virginia Sarah Jane. 6-John Charles Hall was born on 14 Jul 1975. 6-David Charles Hall was born on 13 Dec 1977. 6-Edward Charles Hall was born on 26 May 1983. 6-Virginia Sarah Jane Hall was born on 19 Sep 1986. 5-Jennifer Gaye Hall was born on 20 Jul 1954. Jennifer married Thomas John Hogan. Thomas was born on 14 Nov 1953. They had three children: Leanne Margaret, Genelle May and Tracy Nicolle. 6-Leanne Margaret Hogan was born on 26 May 1975. 6-Genelle May Hogan was born on 15 May 1981. 6-Tracy Nicolle Hogan was born on 22 Sep 1982. 5-Jacqueline May Hall was born on 4 Feb 1958. Jacqueline married Peter Thomas O'Malley. Peter was born on 31 Dec 1957. They had two children: Carley Louise and Mathew Scott. 6-Carley Louise O'Malley was born on 5 Sep 1981. 6-Mathew Scott O'Malley was born on 16 Sep 1982. 4-Trevor Charles Hall was born on 11 Apr 1922 in Pine Road, near Penguin. He served in the Second World War. 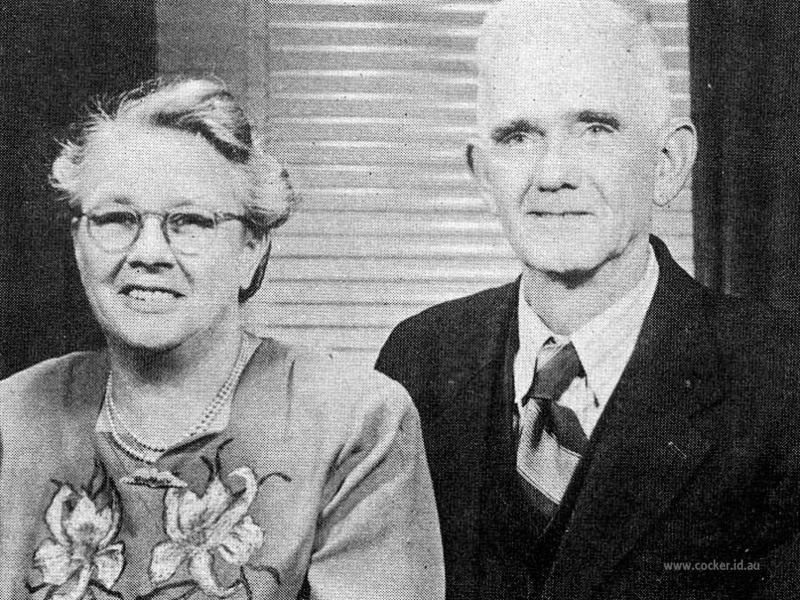 Trevor married Dorothy Laura Marshall. Dorothy was born on 10 May 1925. They had five children: Ronald Trevor, Patricia Anne, Glen Charles, Maree and Wayne Gregory. 5-Ronald Trevor Hall was born on 5 Sep 1945. Ronald married Helen Morgan. Helen was born on 9 Jun 1947. They had three children: Shane, Ricki and Jenni Maree. 6-Shane Hall was born on 30 Dec 1965. 6-Ricki Hall was born on 29 Apr 1969. 6-Jenni Maree Hall was born on 17 Oct 1973. 5-Patricia Anne Hall was born on 21 Dec 1946. Patricia married Graeme McKenzie. Graeme was born on 26 Jan 1943. They had four children: Robert Graeme, Dalene, Mark and Tania Maree. 6-Robert Graeme McKenzie was born on 27 Feb 1967. 6-Dalene McKenzie was born on 5 Nov 1968. Dalene married Geoffrey Lawrence. Geoffrey was born about 1966. 6-Mark McKenzie was born on 6 Jun 1970. 6-Tania Maree McKenzie was born on 3 Sep 1974. 5-Glen Charles Hall was born on 30 Mar 1952. Glen married Elizabeth Robertson. Elizabeth was born on 30 Apr 1953. They had three children: Glenna, Peter and Stephanie. 6-Glenna Hall was born on 9 Feb 1971. 6-Peter Hall was born on 26 Jun 1973. 6-Stephanie Hall was born on 19 Jun 1975. 5-Maree Hall was born on 12 Jan 1956. Maree married Kerry Pearce. Kerry was born on 30 Jun 1952. They had three children: Melissa, Sonny Rex and Scott Jason. 6-Melissa Pearce was born on 19 Feb 1976. 6-Sonny Rex Pearce was born on 2 Nov 1977. 6-Scott Jason Pearce was born on 28 Dec 1979. 5-Wayne Gregory Hall was born on 9 Sep 1959. Wayne married Shirley Leonard. Shirley was born on 17 Feb 1962. They had two children: Angela Maree and Brett Anthony. 6-Angela Maree Hall was born on 14 Apr 1978. 6-Brett Anthony Hall was born on 3 May 1981. 4-John Charles Hall was born on 28 May 1924 in Pine Road, near Penguin and died on 1 Dec 2004 at age 80. Another name for John was Jack. He served inthe Second World War. John married Mollie Jane Johnson. Mollie was born on 2 Dec 1930 and died on 10 Jul 1984 at age 53. They had three children: Christine Faye, Patsy Jane and Janeen Beverley. 5-Christine Faye Hall was born on 7 Dec 1951. Christine married Rodney Max Linger. Rodney was born on 17 Oct 1946. They had two children: Tamika Anne and Jonika Rae. 6-Tamika Anne Linger was born on 21 Feb 1977. 6-Jonika Rae Linger was born on 11 Apr 1979. 5-Patsy Jane Hall was born on 23 Sep 1955. Patsy married Steven Ray Lee. Steven was born on 30 Jun 1952. They had two children: Laurel Jane and Nora Wendy. 6-Laurel Jane Lee was born on 26 Mar 1977. 6-Nora Wendy Lee was born on 12 Jul 1980. 5-Janeen Beverley Hall was born on 16 Feb 1957. Janeen married Neville Owen Jones. Neville was born on 25 Dec 1956. They had two children: Peta Joanne and Jodie Suzette. 6-Peta Joanne Jones was born on 25 Oct 1976. 6-Jodie Suzette Jones was born on 30 Jun 1978. 4-Royce Henry Hall was born on 4 Mar 1928 in Invermay, Launceston. Royce married Kay O'Neill. Kay was born on 14 Oct 1939. They had two children: Charles David and Narelle. 5-Charles David Hall was born on 28 Oct 1958. Charles married Debbie Lewis. Debbie was born on 21 Jul 1963. They had two children: Stacey Ann and David Charles. 6-Stacey Ann Hall was born on 25 Jun 1983. 6-David Charles Hall was born on 26 Dec 1985. 5-Narelle Hall was born on 29 Sep 1965. 4-Eric James Hall was born on 5 Nov 1931 in Invermay, Launceston. Eric married Josephine Frances Roberts. Josephine was born on 28 Jan 1935. They had three children: Stephen James, Debra Adele and Judith Ann. 5-Stephen James Hall was born on 10 Nov 1955. Stephen married Iris Helene Hamilton. Iris was born on 19 Jun 1956. They had one daughter: Jessica Lee. 6-Jessica Lee Hall was born on 9 Oct 1984. 5-Debra Adele Hall was born on 10 Sep 1958. Debra married Roger Alan Rickards. Roger was born on 7 Jul 1958. They had two children: Izaac Jonathon and Trent Anthony. 6-Izaac Jonathon Rickards was born on 17 Sep 1982. 6-Trent Anthony Rickards was born on 2 Jul 1985. 5-Judith Ann Hall was born on 13 Aug 1959. Judith married William James Tapp. William was born on 14 Aug 1954. They had two children: Nichole Francis and Daniel James. 6-Nichole Francis Tapp was born on 11 Apr 1982. 6-Daniel James Tapp was born on 15 Jan 1986.